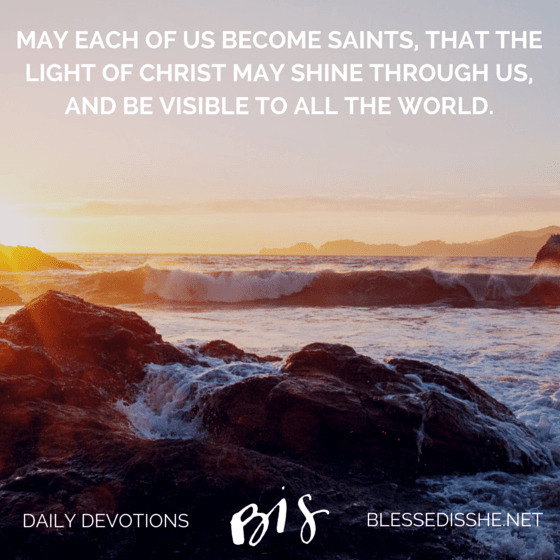 What rich and beautiful readings God gives us today on this Feast of All Saints. First, Saint John’s striking revelation of the “great multitude which no man could number . . . crying out with a loud voice” to God. I feel united with the Psalmist as I, too, daily seek God’s face. The First Book of John is one of my favorite books in the whole Bible (I’ll spend some time with that reading in a moment), and then we hear the Beatitudes, which can be so challenging, and yet bring so much peace. A wealth to reflect upon this day . . . .
“It does not yet appear what we shall be, but we know that when he appears we shall be like him, for we shall see him as he is.” Can you imagine? Can you even begin to imagine? I am not sure I can, which I suppose is part of the great mystery of Heaven. But what an incredible gift it would be to see God as He is, and not only that—to be like Him. I’d invite you to take an extra moment to read that once more (and maybe spend some time reflecting on it later today. It’s really quite something). The Saints bring us into contact with Christ’s beauty. Saints know their identity as God’s beloved children, and they know what the Second Reading reminds us today: that we are God’s children now. Not one day in Heaven, but now! So let us not wait for our heavenly homeland to be like Him, but let’s start striving for sainthood this very day. Let us live the beatitudes, like the Saints that have gone before us, that we might also receive what the Lord has promised: our reward will be great in Heaven. 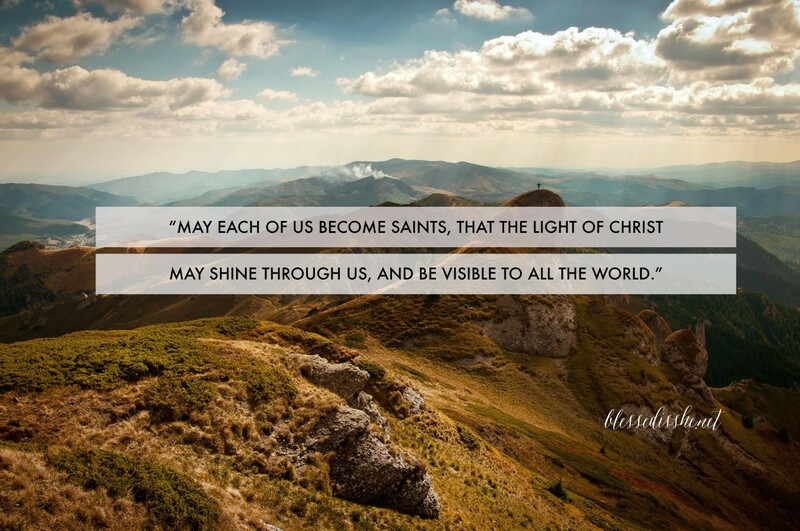 May each of us become saints, that the light of Christ may shine through us and be visible to all the world.